Just because you are a poet, that does not make you incompetent. With the Caesura Kingkiller Sword, you can wield the same weapon as the musician-adventurer Kvothe from The Kingkiller Chronicle, emulating his power and determination. This beautiful high carbon steel weapon, known for cutting as smoothly as a line break, features a slender wasp waist with an interrupted fuller. Its hilt is wrapped in red leather, allowing the hand to grip it comfortably, and its pommel replicates the form of a folded rose. Perhaps its most noticeable feature is its small quillons, one of which takes a sharp, artful downward curve away from the handle. 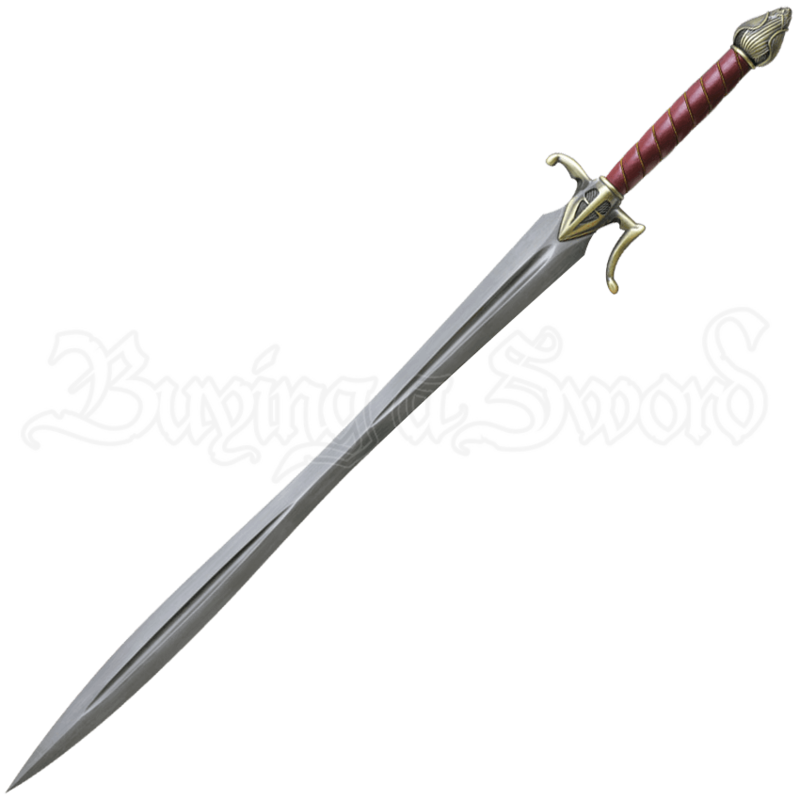 The Caesura Kingkiller Sword comes with a wall plaque for mounting and a certificate of authenticity, making it a fantastic collectors piece, especially for lovers of The Kingkiller Chronicle trilogy.